Yes, my friends, this is how awareness often happens. Lacking a celebrity spokesperson or fatalities directly related to BMS, this is the grassroots, person to person, story by story way that we raise the profile of this life changing syndrome and accomplish two goals. We make people who suffer from it aware that there is a resource out there for them and we make it a bit more attractive to researchers who may see increased benefits in studying it. What did I do when my friend reached out to me regarding another friend? 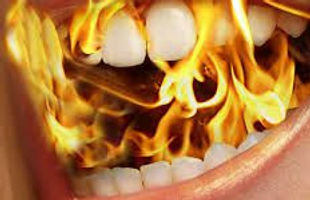 I reached right back, reassured her I would be happy to speak with her friend and pointed her to the Burning Mouth Syndrome Support website where her friend will find information, encouragement, and even coping strategies to help her deal with her pain until she gets a diagnosis and medicines that may help. If you are a BMS sufferer, don’t hide. You never know what fellow traveler through this burning mouth journey may need you and the hard-won knowledge you have collected.